Many companies spend lots of resources and effort to create a blog that supports their business, particularly the sales process. Yet many corporate bloggers complain that while their blogs contain relevant information and attract visitors, they can’t track how their blog has influenced sales. Social media has raised customers’ expectations about the information they need before they purchase. If your blog content is relevant to prospects’ and customers’ needs before and after purchase and your products deliver on their promise, you can convert your blog into a sales machine. For a blog to help sell your product and services, you need to consider the three Cs. Content. Provide useful, educational and entertaining content. Present information based on your product offering and customers’ problems or needs. Context. While your end goal is to sell, consider the context of your blog posts. Here, you’re a tour guide through your firm’s extended offering – not an auctioneer. Your job is to show readers how to use your firm’s products. Commerce. Once you’ve given your readers useful information in a meaningful setting, they may be interested in actually plunking down their credit card. Unfortunately, here’s where many business blogs stop. Blog editors, familiar with their company’s e-commerce site and how to find specific products, can assume readers innately know how to find the product or have the motivation to track it down. Don’t get me wrong. 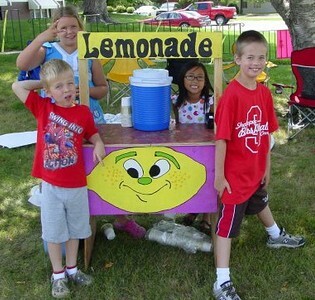 Some very small percentage of prospects will to go extreme efforts to find the product. Unfortunately, the rest will just leave or worse go to your competitor. To make your blog an effective sales machine, integrate your product into your content in a way that doesn’t scream BUY, BUY, BUY. Here are five steps to provide relevant information and eye-candy to lure readers in and help convert blog posts to sales receipts. Provide useful, relevant information. Show prospects how to use or wear your product, give them instructions or how-tos, and/or entertain them. Include a variety of different forms of content. photographs and videos are particularly important because readers tend to be visual and want to see your product in action. Take readers directly to the product. Don’t assume customers know which item you’re talking about in your post. Provide a link directly to the product page so they can buy if they want. If it’s relevant give readers more than one way to get to the product. Keep the scent going. Maintain the information trail through the use of branding signs and text so readers know they’re on the right track. Make it easy to buy by eliminating stumbling blocks to purchase. For example, integrate a purchase form into your instructions so prospects think about how many and which color product to purchase – not whether they should or shouldn’t buy the product. Also, don’t forget a call-to-action and a unique promotional code. 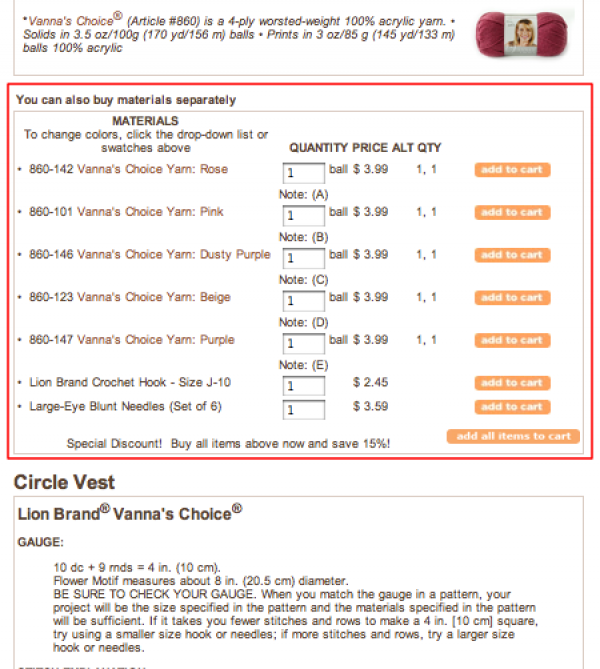 Here is an example of how a Lion Brand post integrated these steps to support sales. 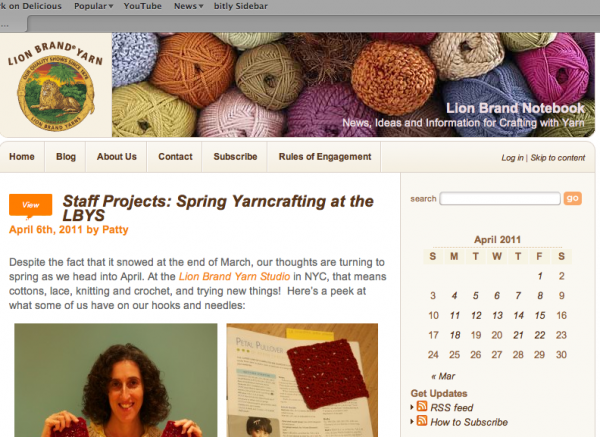 Step 1: Engage readers with how to post on employees’ spring knitting. It’s a long post that highlights several employees. Takes the concept of show and tell literally. Step 3: Takes customers to sales page. In this post, readers can find out about two different yarns. Step 4: Keeps scent from blog post to product page going with the same name of the pattern. It’s got Lion Brand Yarn’s logo and a photograph of the finished product. 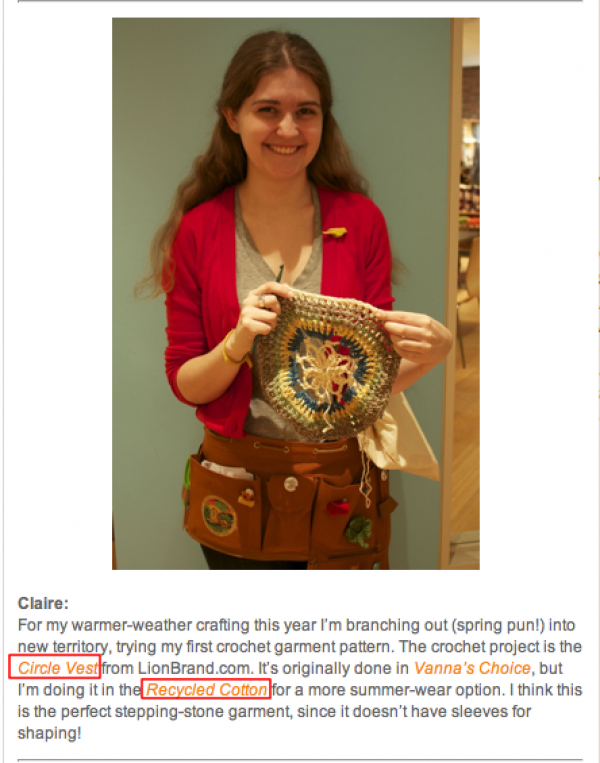 Notice: Lion Brand has made the yarn selection the hook for most knitters after the photograph of the finished garment followed by the completed order form. 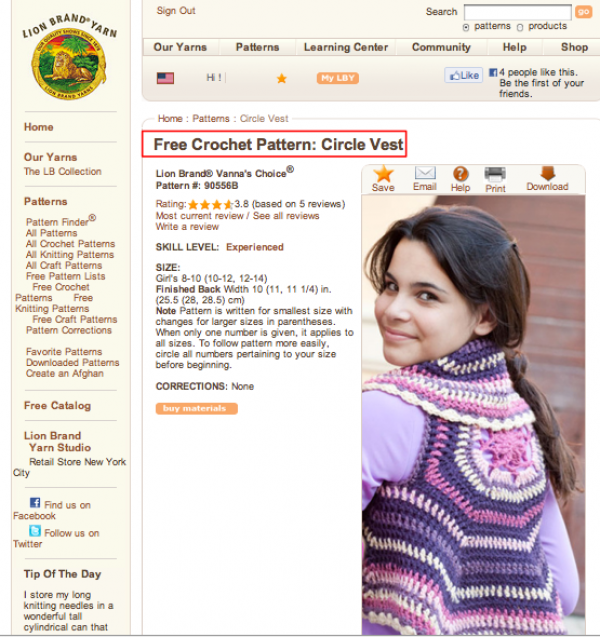 The last thing they add is the free pattern that visitors can download whether they buy from Lion Brand or not. Further, this blog post included other links to related product. 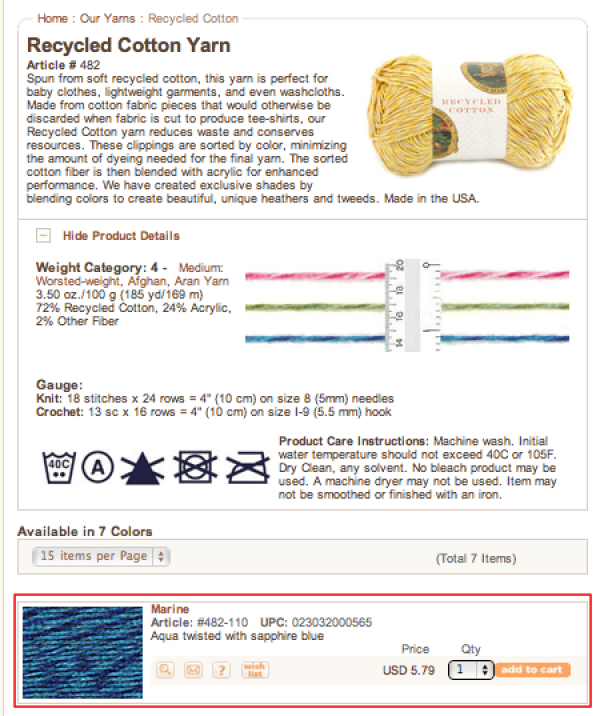 Here’s the product page for Recycled Yarn. It’s the yarn that the employee is using and allows the reader to buy it directly. Blogs are a great tool for driving traffic to your website and converting it to sales if you lead your prospects to your product pages and make it easy to put the product in their shopping cart and buy. Do you have any other suggestions to add to help other readers convert their traffic into sales? Tags Business blog, Call-to-action, Lion Brand. Bookmark the permalink. ← Social Media Contingency Plan: Do You Have One? I think a blog that’s linked to ecommerce site is a great tool, just need to learn how to use it better, even after 10 years of online marketing lol.